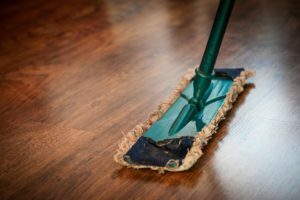 Without a doubt, a huge component of home improvement and maintenance revolves around consistent cleaning. Whether it be the living room, bathroom, kitchen or even the great outdoors, keeping a well-polished interior and exterior is critical for a number of reasons. All too often, people turn to expensive and/or caustic cleaning materials to get the job done, assuming that they work better and choosing them to save themselves a bit of extra work. However, there are many unique, affordable and simple ways to clean naturally, using household products that are safe and non-toxic. Let’s look at a few ways you can clean in and around the home naturally – and without breaking the bank. Whether the goal is to save money, clean your home naturally, or do both, you have plenty of options to consider. Before you can begin, however, it helps to know what common ingredients feature heavily in many cleaning recipes and processes. Some of the most common elements you’ll want to procure include vinegar (white), baking soda, natural salt, lemon juice (or whole lemons), peroxide, and a cleaning agent like Borax. With these ingredients (plus a few other natural additions, like water), you’ll be able to mix up a variety of concoctions that can purify every room in the home, as well as outdoor surfaces. For those concerned with potentially poisonous ingredients being in the home, check out this non toxic cleaning guide. There are many surfaces inside the home that need cleaning on a regular basis. Thankfully, there’s a natural remedy for virtually every one of them. For example, a good glass cleaner doesn’t need to have ammonia in it: just mix a combination of water and vinegar together in a spray bottle and apply as you normally would. Anybody who needs to clean their toilets and bathroom surfaces knows that most products have tons of chemicals in them. Instead of using that, opt instead for pure vinegar and use a scrub brush to loosen deposits, grime, and other stubborn stains. If you’re in need of an all-purpose cleaner of sorts, then you’ll be happy to know it’s easy to make. Simply mix some borax with baking soda, liquid soap and a bit of lemon or citrus juice for a great cleaning agent for all occasions. Not everything can be cleaned the same way. Thankfully, affordable, organic and home-made options exist for these surfaces as well. If you’re wanting a good fabric softening solution, then mix a combination of vinegar (1 part) with water (2 parts) and throw it into the rinse cycle of your washer. There are other recipes for fabric softeners as well if you’d prefer an alternative. With so many choices for non-toxic, home-made remedies out there, knowing which ones are worth your time can be challenging. The good news is that most homes already have all the basic ingredients necessary to clean the home and produce immaculate results for a fraction of the price of store-bought solutions.